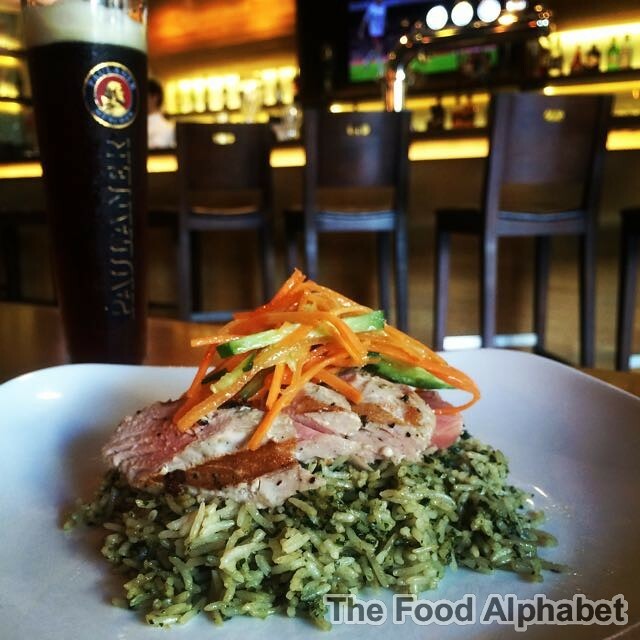 The Food Alphabet and More: Brotzeit Lenten Specials you will love! 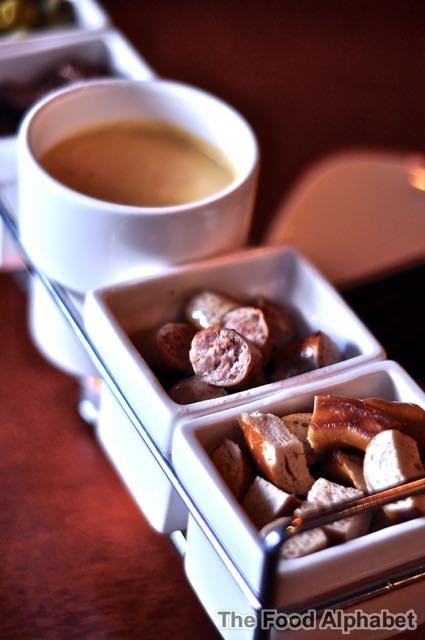 Brotzeit Lenten Specials you will love! Prost! To Good times, Great Food and Awesome Beers at Brotzeit in Glorietta! It has been 4 years or so that I have been at "The Food Alphabet", during the early days when even the word foodie never really meant anything until recent times, I have come to enjoy and appreciate the best of Manila's culinary marvels and as we grow maturer, revel at the brilliance of what a little alchohol (I hope) can do magic and add life to our everyday lives. Ask my friend Mr. Gerry of Dude 4 Food, and you just know what a little of the good stuff can indeed bring out the best in all of us... Prost, Gerry! 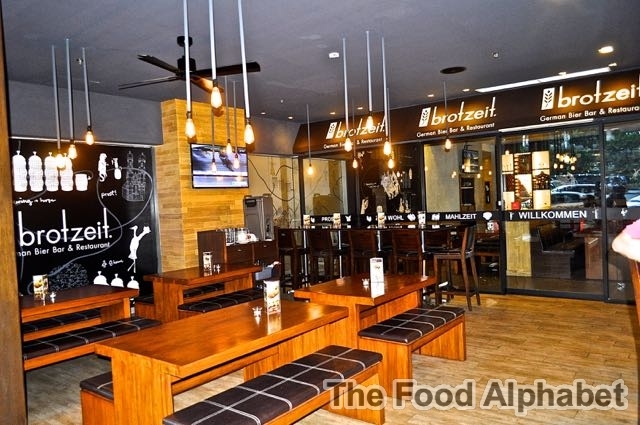 Brotzeit is not just known for their wide selection of imported beers, they also serve an impressive medley of mouth-watering treats, from steaks to choice cut meat delicacies you surely will come back for more. This Lenten season Brotzeit is more than delighted to showcase their Lenten dish creations to dazzle your senses. 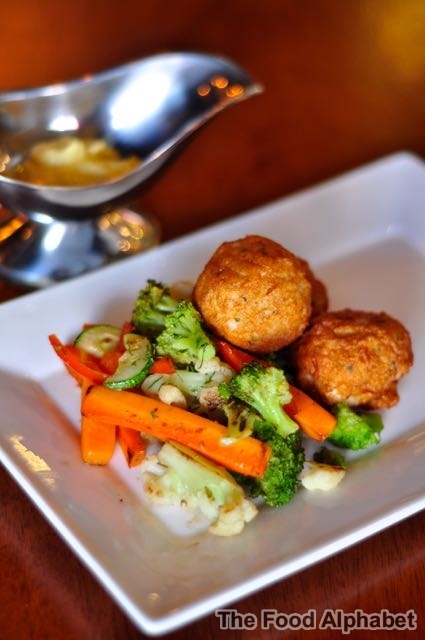 Fischklopse Sassnitzer Art (P390) - Fried to a crust Sassnitz seafood balls (with codfish, shrimps and crabs) with roasted vegetables and lemon butter sauce. Ok forgive me but when I read lemon butter sauce well I knew I was losing my concentration already as I was eager to take a slice through the luscious meat and dip them in the lemon butter sauce. Oh it was indeed a bliss! You will love the lemon butter sauce, I guarantee it! Genius! 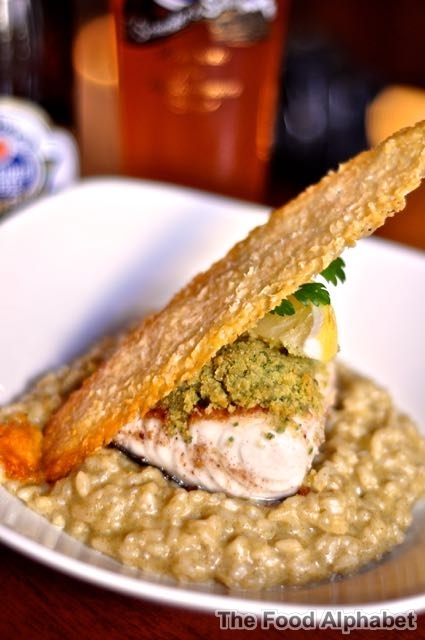 Kreuterkrustete Kabeljaus (P590), just look at the fresh herb crusted cod fish, laying majestically on beer infused risotto, my so-called "Manly Risotto", why cause of it's very intense and distinct flavor unlike any risotto I have tried in my life and I loved it! Meerfruchtesfleckerin (P 450), a baked seafood pasta creation topped with golden crisp breaded shrimps, with salmon slices and everything you love under the sea. 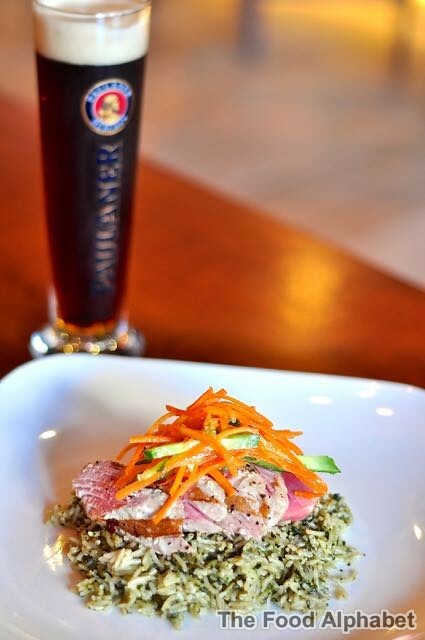 One of Brotzeit's Chef Specials, the Thunfisch (P450), seared tuna over pesto wild rice. 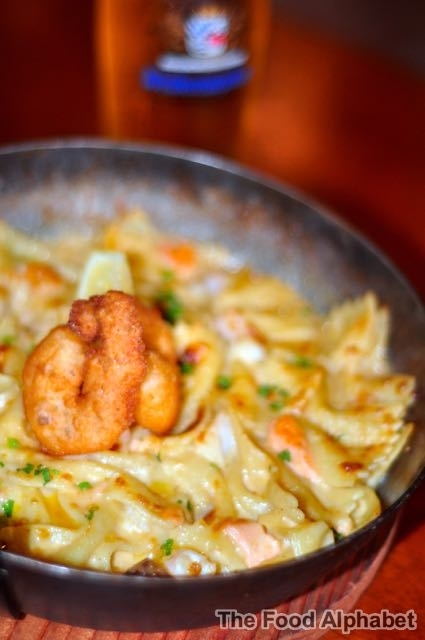 A spectacular sensation of flavors in a dish worthy of the seas of Atlantis. The seared tuna is just perfect, as it oozes with fresh flavorful juices with every bite. These lenten dishes are sure to keep you company and if you really want it that bad, they may somehow land on the regular menu. So what's Brotzeit without the beers! Enjoy these lenten creations with Tap1: Mein Blondes, refreshing like a dance in a summer breeze, tempting with light dishes such as our Fischklopse Sassnitzer Art. Sip into Tap4: Mein Grunes, full-bodied taste and is the ideal companion to vegetables and fish dishes. Lastly, enjoy the Weihenstephan Lager as well as the Paulaner, the original dunkel lager. 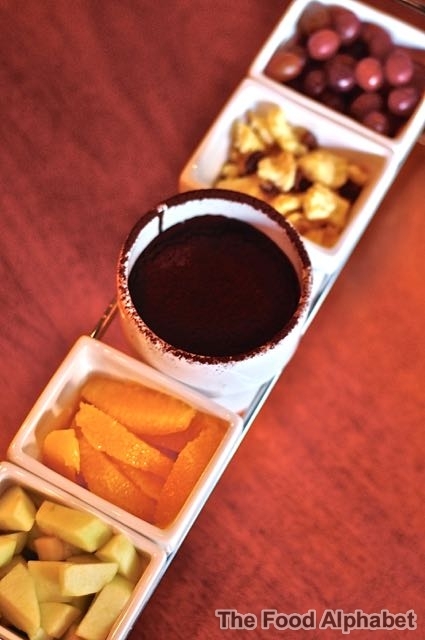 End your day with Brotzeit's Schokoladenfondue (P 990), fondue goodness with pineapples, oranges, grapes and Emperor cake crumble. Block Street Crypto Trader As a business, follow the rewards-primarily based platforms for client product that are in concept or prototype stage, perhaps moving on the equity platforms once your product is up and running. Debt-based platforms are a higher selection for bridge finance if you're additional established, and blockchain is the apparent option if you are a blockchain startup. Yoshoku Valentine's Treat at Tokyo Bubble Tea!